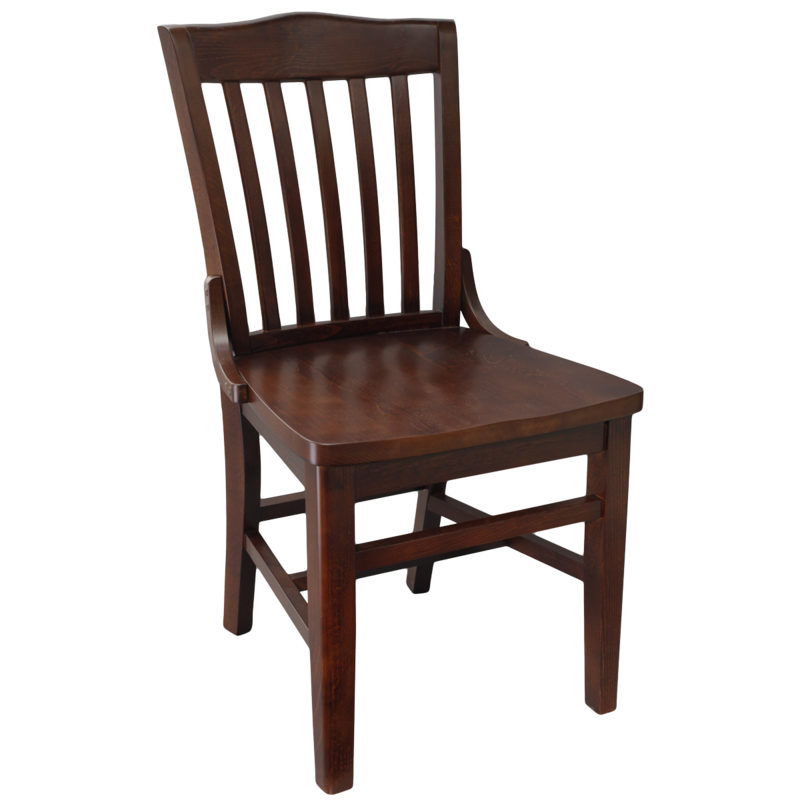 Wood Schoolhouse Chair with Solid Wood Seat. German beech wood construction. Wood, schoolhouse style, slat back seating with heavy duty steel brackets. German beech, tongue & groove hardwood construction.